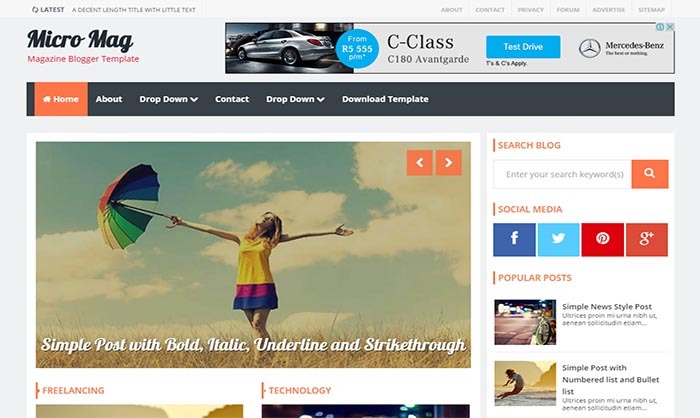 Micro Mag Blogger Template is a clean stylish review, blogging and magazine responsive theme that allows you to keep eyes on content including games, travel destinations, films, blogger magazine, technology etc. It has a lot of advanced features that help you to setup one professional and awesome website with just few clicks. You can add your latest posts into slider, change its color or whatever you want to do with simple and easy steps.